You know when you go into an office or store or the movie theater and wonder why the air conditioning is up so high? Me, too! This Chevron Lace Cardigan Crochet Pattern is the perfect antidote for indoor Arctic conditions. 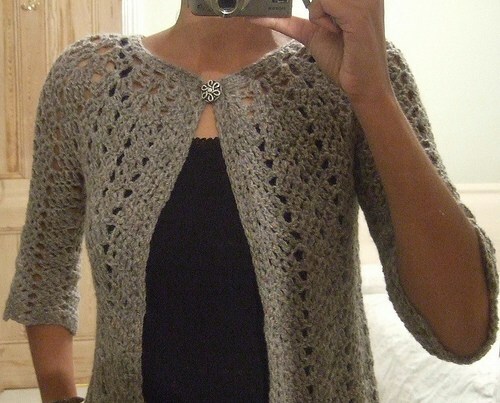 It’s lacy and light but just enough to take the chill off.